It turns out that 2 Thessalonians chapter 2 is not about the apostasy of the Church or the removal of the Holy Spirit from the earth during the Tribulation period. 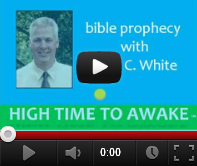 It is about looking to the Old Testament prophets in order to recognize end time events! 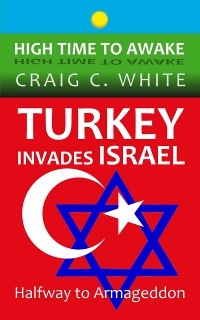 Throughout history Israel has suffered at the hands of every ancient world empire. Israel will once again suffer at the hands of the next world empire. 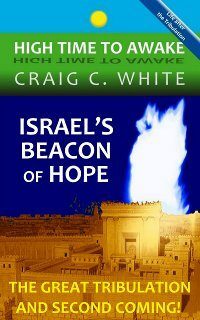 There is a terrible time of persecution coming upon Israel and most terribly upon Jerusalem. 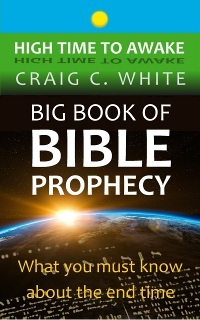 During this seven year period God will also pour out his wrath upon the entire world. This is called the Tribulation period. 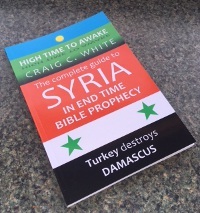 The Apostle Paul has promised Church age believers that they would escape this terrible time of God’s wrath on earth by being taken up into heaven. 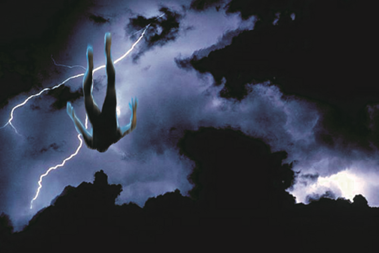 This event is called the Rapture. Ever since Jesus’ resurrection, believers in Christ have been saved from the penalty of sin which is death and hell. 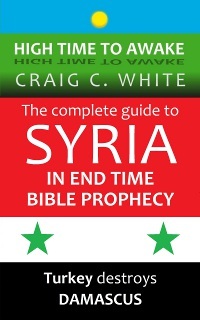 Christians will also be saved from the coming period of God’s wrath on earth. Early Church members in the Grecian city of Thessalonica saw the persecution of Jews and Christians under the Roman Empire and wondered if this terrible time of trouble was coming upon them? They thought that the Tribulation was beginning and wondered why the Rapture hadn’t happened yet. Paul told the Thessalonians that the Tribulation was not about to happen because two old testament prophecies had not yet been fulfilled! Paul told them that Satan must fall from heaven to earth and that the Antichrist must be revealed before the Tribulation period on earth began. The verse above describes the Resurrection of Christians and the Rapture of the Church. The verse below describes the day of Christ. The day of Christ is the terrible period of Tribulation on earth. Evidently there were some rumors circulating around the Thessalonian believers that the Tribulation was beginning. 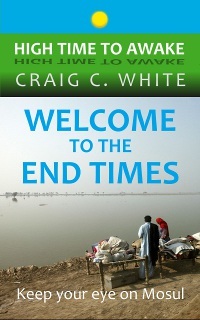 The Rapture was designed to save Christians from a terrible time of trouble on earth. So it follows that the Rapture must happen before the Tribulation begins. The Thessalonians were wondering why the Rapture had not yet happened. The Apostle Paul identifies two Old Testament prophetic events that help us to recognize the the arrival of the Tribulation. They are the falling of Satan from heaven to earth and the revealing of the Antichrist as he sits in the temple at Jerusalem. 2Th 2:3 Let no man deceive you by any means: for that day shall not come, except there come a falling away first, and that man of sin be revealed, the son of perdition. Paul is not revealing new prophetic information here. He is reminding us about the prophecies of Isaiah (Isa 14:12) and Daniel (Dan 9:27). In verse 3 above, what is a falling away? Some teach that this references a worldwide “apostasy”; in other words “a turning away from God”. While there will be a major corrupting of world religion during the end time, I don’t think that it is referenced here. First the Bible teaches that none seek after God (Psa 14:1-3, Psa 53:2, Rom 3:10-18), and that no nation follows after him. So the world is already “fallen away” from God. However I do admit that things will get worse. Second let’s take a look at the word and in the phrase “and that man of sin be revealed”. The word and usually means even, so, or then and sometimes means also or too. In our case the word and means then. So, a falling away and that man of sin be revealed are not two accumulative events. Instead, the second event relies on the first. The second event can only happen because the first event happened. A falling away happens then the man of sin is revealed. God’s wrath won’t be poured out on earth until the man of sin is revealed. The man of sin can only be revealed because something or someone first falls away. It is the same case in the phrase “the coming of our Lord Jesus Christ, and by our gathering together unto him” in 2Thessalonians 2:1. In this case “and” also means “then”. Jesus Christ comes; then because Jesus Christ came the Church will be gathered together to him. Jesus is able to gather us together only because first he comes to earth. The second event can only happen because the first event happened. We still haven’t defined a falling away. Let’s look at the surrounding statements. Verses 3 & 4 are jam-packed with descriptions of the man of sin. Obviously verses 3 & 4 are describing the Antichrist. The Antichrist is a wicked man that is empowered by Satan. The Antichrist will invade Israel and sit in the temple at Jerusalem. 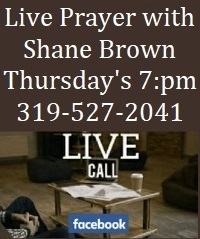 He will then preside over the persecution of Israel during the Great Tribulation period. So the Antichrist will sit in the temple before the day of God’s wrath on earth or at least before Israel’s great tribulation. Early Church members could recognize that this event hadn’t happened yet. 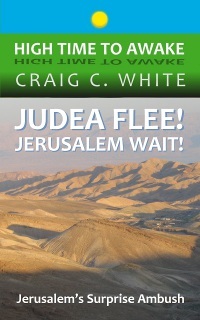 So the time of great tribulation in Jerusalem had not yet come. I don’t think that the Church will see the Antichrist as he sits in the temple but I am certain that the Church will see the Antichrist. The Antichrist will do many other identifiable things before he sits in the temple in Jerusalem. In Matthew 24:43 the inhabitants of Judea are instructed to look for the Antichrist as he approaches. So the Antichrist will be identifiable before he sits in the temple at Jerusalem. I tell you that the Antichrist is already identifiable today! He is Turkish President Erdogan. I am certain that Paul had previously taught the church members in Thessalonica about the prophecies in Isaiah (Isa 14:12) and Daniel (Dan 9:27) that help to identify the Tribulation period. Jesus also explained these events in the gospels (Matthew 24, Mark 13, Luke 17&21). The word withholdeth means to hold fast or stay. To stay means to prevent, to come first, or to delay. Seeing the Antichrist sitting in the temple is the event that comes before or delays the Great Tribulation. But the term “a falling away” is describing the event that is delaying the revealing of the Antichrist. So the stay (or delay) of a falling away is preventing the Antichrist from being revealed. 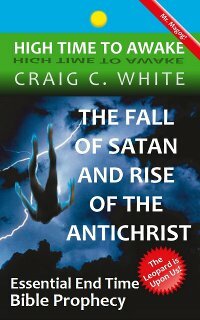 Satan’s fall precedes the revealing of the Antichrist! The mystery of iniquity is simply the working of wickedness in the world. Specifically it is the working of Satan’s plan to make himself God of this world. Every past world empire has been configured by Satan. There is one more world empire coming. World empires are Satan’s attempt to make himself the god of this world. Things will get much worse when the Antichrist is revealed. The identity of the word he is in question here. Whoever he is, prevents (or delays) the Antichrist from being revealed until he is taken out of the way. Most Christians read this verse and immediately think that the word he refers to the Holy Spirit taken away in the raptured Church. I don’t think so. The word he is still referring to someone who has yet to have a falling away! The words letteth and let are the same word as withholdeth in verse 6. The word taken can also be translated as “fall”. So he prevents the Antichrist from being revealed until he falls!!! The Holy Spirit is not taken out of the way before the Antichrist can be revealed. The Holy Spirit is not taken out of the way at all. 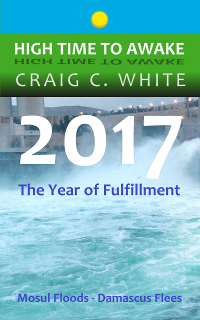 People are saved during the Tribulation period (Rev 7:9-14), and their spirits are in heaven! Jesus said that the Holy Spirit is active in the salvation of a person. So the Holy Spirit is active on earth during the Tribulation period. Joh 3:5 “Except a man be born of water and of the Spirit, he cannot enter into the kingdom of God”. So after he falls, the Antichrist will be revealed. 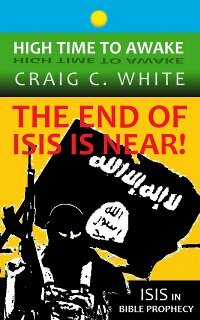 Jesus will kill the Antichrist when he returns to the earth at the end of the seven year Tribulation period. 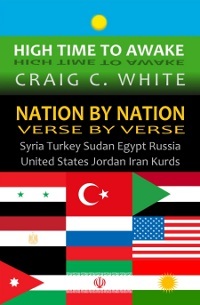 This is not to be confused with Jesus’ coming in the air to gather his Church before or perhaps early during the Tribulation period (which is described in verse 1 at the top of our study). 2Th 2:9-10 Even him, whose coming is after the working of Satan with all power and signs and lying wonders, 10 And with all deceivableness of unrighteousness in them that perish; because they received not the love of the truth, that they might be saved. This verse is still talking about the Antichrist. However another person is mentioned. That is Satan. BINGO! We finally have the last piece of our puzzle! The identity of he is Satan. The phrase “a falling away” in 2Th 2:3 is describing Satan’s fall out of heaven. So Satan will fall from heaven then the Antichrist will be revealed on earth! In 2Th 2:3 the original Greek word for “falling away” is “apostasia”. Apostasia means to divorce, or to move something away in order to disassociate from it. In our case Satan is moved away from heaven because he has no place there anymore. The Antichrist is a man who is empowered by Satan after Satan falls to earth. Did you know that there will be a war in heaven and God will throw Satan out? Rev 12:7-12 And there was war in heaven: Michael and his angels fought against the dragon; and the dragon fought and his angels, 8 And prevailed not; neither was their place found any more in heaven. 9 And the great dragon was cast out, that old serpent, called the Devil, and Satan, which deceiveth the whole world: he was cast out into the earth, and his angels were cast out with him. 10 And I heard a loud voice saying in heaven, Now is come salvation, and strength, and the kingdom of our God, and the power of his Christ: for the accuser of our brethren is cast down, which accused them before our God day and night. 11 And they overcame him by the blood of the Lamb, and by the word of their testimony; and they loved not their lives unto the death. 12 Therefore rejoice, ye heavens, and ye that dwell in them. Woe to the inhabiters of the earth and of the sea! for the devil is come down unto you, having great wrath, because he knoweth that he hath but a short time. When the devil is cast out of heaven he will empower the Antichrist to do false miracles and deceive all who have rejected God. Do you mean that Satan can enter heaven? Yep he can now, but soon he will be thrown out for good. He will be thrown to earth. That’s why we need to be warned to look out for the man that Satan will empower! Today Satan travels between heaven and earth. He also accuses believers of committing sin. Job chapter 2 illustrates Satan’s travels between heaven and earth. Job 2:1-2 Again there was a day when the sons of God came to present themselves before the LORD, and Satan came also among them to present himself before the LORD. 2 And the LORD said unto Satan, From whence comest thou? And Satan answered the LORD, and said, From going to and fro in the earth, and from walking up and down in it. 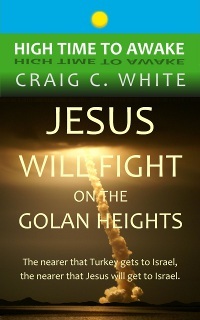 There are two events that must happen before Jerusalem is overrun by its enemies. These two events are the fall of Satan from heaven to earth and the Antichrist sitting in the temple at Jerusalem. The revealing of the Antichrist on earth is the sign of the Tribulation. I think that there is already definite evidence of who the Antichrist is and present day circumstances exist that will allow his rise to infamy. 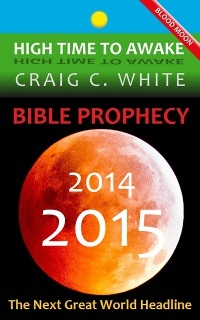 Church age believers in Jesus Christ will not suffer through the Tribulation period on earth. As Christians we are looking forward to Jesus Christ coming in the air to raise the dead and catch up the living into heaven! Alleluia!!! Because people have rejected God’s love for them, and have rejected God’s son sent to die for them (Joh 3:16), God will send them strong delusion. The word delusion means “a straying from orthodoxy or piety”. All people who have rejected the truth of salvation by Jesus’ blood will be persuaded of their own righteousness by another way. This of course is true of all false religions; but it reminds me of the Emerging Church and also of the Unity movement being spearheaded by the Pope. The Emerging Church is an all-inclusive so called “Christian” movement that contains eastern philosophy and ritual; including yoga, meditation, and contemplative prayer as a means to personal holiness. It denounces Bible teaching, and is being promoted by some of your favorite “Christian” leaders. Even without the influence of the miracle working Antichrist, most people I know are eagerly awaiting this kind of religion (including most pastors). The fact that the Emerging Church and the Unity movement are on the move persuades me to think that Satan’s fall and the exposing of the Antichrist is imminent. Don’t allow yourself to be deceived! I hope you believe the good news of salvation through Jesus Christ’s blood shed for you. 2Th 2:15-17 Therefore, brethren, stand fast, and hold the traditions which ye have been taught, whether by word, or our epistle. 16 Now our Lord Jesus Christ himself, and God, even our Father, which hath loved us, and hath given us everlasting consolation and good hope through grace, 17 Comfort your hearts, and stablish you in every good word and work. In verse 15 above, the Apostle Paul instructs the believers in Thessalonica to “hold the traditions which ye have been taught”. Paul is referencing the Old Testament prophets Isaiah and Daniel to help identify two events that happen during the Tribulation; the fall of Satan from heaven and the revealing of the Antichrist as he sits in the temple in Jerusalem. The first day of Jerusalem’s Great Tribulation will be marked by the Antichrist sitting in the temple in Jerusalem (Mat 24:21). 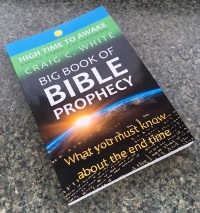 Most Bible teachers think that the Great Tribulation begins three and one half years into the seven year Tribulation period. 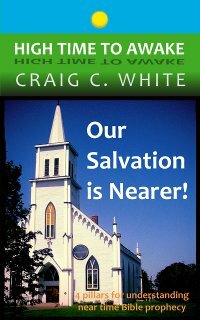 Christians living during the Church age can be assured that they will not suffer through the time of the God’s wrath on earth. 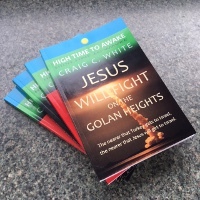 Most Bible teachers also sat that the seven year Tribulation period begins with the signing of a seven year term security agreement between the Antichrist, Israel, and perhaps other world powers (Dan 9:27). Will Church age believers be on earth to see the signing of this treaty during the first days of the seven year Tribulation period? I don’t know. The world is prepared for the Antichrist. Christians should be prepared for the day of Christ. We must look to the Old Testament prophets in order to recognize prophetic end time events that are increasingly happening today. Each one of us must make certain that we possess a sure and steadfast faith in the salvation of soul and body that Jesus has wrought. We must also be prepared so that we are not deceived by the offer of an unorthodox way to reconciliation with God that a false religion will soon tender (2Th 2:11-12). The following verses were written to Jewish believers. They also apply to all believers in Jesus Christ especially those living in present day. Heb 10:23-25 Let us hold fast the profession of our faith without wavering; (for he is faithful that promised;) 24 And let us consider one another to provoke unto love and to good works: 25 Not forsaking the assembling of ourselves together, as the manner of some is; but exhorting one another: and so much the more, as ye see the day approaching. Now let me see if I have this straight. Jesus will return in the air then Church age believers will be resurrected from the dead and taken into heaven. Satan will be thrown out of heaven and fall to earth then the Antichrist will be revealed. Israel should know that the Great Tribulation will not begin until the man of sin (or the Antichrist) sits in the temple in Jerusalem. Wow, I probably should have said that in the first place. Amen. 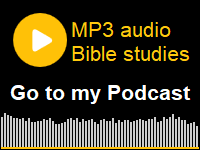 2 Thessalonians chapter 2 – The Fall of Satan and Rise of the Antichrist is on YouTube! There is no such “person” mentioned in the Bible as “Antichrist”. The “son of perdition” is us, the false prophet is all those who teach unbiblically, “falsely”. The strong delusion pertains to all those who teach “hell” and other unbiblical stuff, that God will torture people for ever and ever and ever in hell. 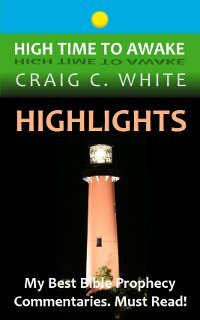 The Christendom is called Babylon in the Book Revelations, and whore and prostitute, who makes kings of the earth partake of her spiritual fornication (unbiblical teachings). And the judgment is on the Church. 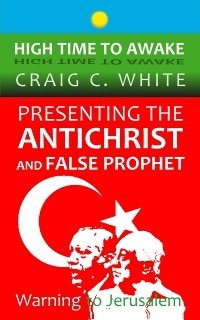 The antichrist is a spiritual attitude that teaches people untruths about Christ, as you yourself do. Dan 9:26-27 And after threescore and two weeks shall Messiah be cut off, but not for himself: and the people of the prince that shall come shall destroy the city and the sanctuary; and the end thereof shall be with a flood, and unto the end of the war desolations are determined. 27 And he shall confirm the covenant with many for one week: and in the midst of the week he shall cause the sacrifice and the oblation to cease, and for the overspreading of abominations he shall make it desolate, even until the consummation, and that determined shall be poured upon the desolate. 2Th 2:3-12 Let no man deceive you by any means: for that day shall not come, except there come a falling away first, and that man of sin be revealed, the son of perdition; 4 Who opposeth and exalteth himself above all that is called God, or that is worshipped; so that he as God sitteth in the temple of God, shewing himself that he is God. 5 Remember ye not, that, when I was yet with you, I told you these things? 6 And now ye know what withholdeth that he might be revealed in his time. 7 For the mystery of iniquity doth already work: only he who now letteth will let, until he be taken out of the way. 8 And then shall that Wicked be revealed, whom the Lord shall consume with the spirit of his mouth, and shall destroy with the brightness of his coming: 9 Even him, whose coming is after the working of Satan with all power and signs and lying wonders, 10 And with all deceivableness of unrighteousness in them that perish; because they received not the love of the truth, that they might be saved. 11 And for this cause God shall send them strong delusion, that they should believe a lie: 12 That they all might be damned who believed not the truth, but had pleasure in unrighteousness. There is also a lot said about hell in the bible. Please read my commentary titled Hell. Can you be specific in detailing the teachings that the antichrist spirit was behind matt 24 in 70 A.D. and it’s the same spirit in the actual end days, and the literal teachings that show clearly that a literal person will also be called the Antichrist? I really don’t want to read another book but have been referred to one called, Victorious Eschatology that supposedly deals with this. Will read them and thanx. Also just read you Aliah blog. Great job confirms a lot. I have a question about the “falling away” of Satan from heaven permanently as per 2 Thes. 2:3 and this will then allow Christ to remove the church via the rapture prior to the 7-yr. Tribulation. I believe you have very brilliantly proved with the above scripture verses that this is definitely the case. But I have a question about Satan’s being permitted to still have access to heaven from God’s perspective when I have also read in the Bible that God allows no sin to enter heaven. This is why I had believed that he, as Lucifer, the cherubim, and all the sons of God who chose to follow Lucifer had already been cast out permanently when he chose to rebel against God originally thousands of years ago by having the sin of pride and wanting to be like God. Did God only allow Lucifer to this day to return to the highest heaven and not the third of the angels who chose to follow him? Why would God allow Lucifer to have the privilege of being able to return to heaven and go back and forth from earth to there at will if he had already been cast out of heaven once thousands of years ago even prior to Adam and Eve being in Eden? Wouldn’t this original casting out preclude him automatically from allowed as a sinfil being from entering heaven again? We can tell by the book of Job that Satan was allowed access to heaven in Job’s day. Job 1:6-7 Now there was a day when the sons of God came to present themselves before the LORD, and Satan came also among them. 7 And the LORD said unto Satan, Whence comest thou? 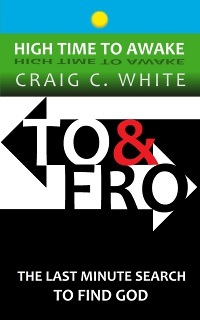 Then Satan answered the LORD, and said, From going to and fro in the earth, and from walking up and down in it. Many bad angels were cast into hell a long time ago. They are either awaiting there own judgment, or they are waiting to be released during the Tribulation period. I think that the star falling to earth in Revelation 9 is Satan. 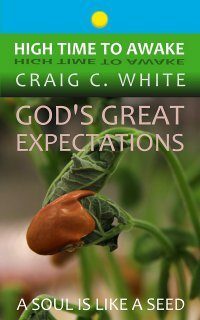 He will release a bunch of bad angels to cause trouble during the Tribulation. Rev 9:1-5 And the fifth angel sounded, and I saw a star fall from heaven unto the earth: and to him was given the key of the bottomless pit. 2 And he opened the bottomless pit; and there arose a smoke out of the pit, as the smoke of a great furnace; and the sun and the air were darkened by reason of the smoke of the pit. 3 And there came out of the smoke locusts upon the earth: and unto them was given power, as the scorpions of the earth have power. 4 And it was commanded them that they should not hurt the grass of the earth, neither any green thing, neither any tree; but only those men which have not the seal of God in their foreheads. 5 And to them it was given that they should not kill them, but that they should be tormented five months: and their torment was as the torment of a scorpion, when he striketh a man. I presume I may not have been taught the whole story, growing up, by my Sunday School teachers about the time Satan fell from heaven and took 1/3 of the angels with him. I was led to believe that he and his demon/angels fell to earth permanently not long after God (the Word) spoke the heavens and earth into existence, and that they were never to re-enter heaven again for the SIN he committed in heaven (pride and vanity, desiring to be God, father of lies and deceit, etc.). I believed my Baptist church when I was taught the reason his only Son had to die was so ultimately SIN could never enter heaven again after Satan fell so long ago, as God cannot look upon SIN; the only way we can do this is by accepting what Jesus Christ did through being a perfect (without sin) sacrifice, which cleanses us from every sin for those who believe on him as their Savior. This would bring us into fellowship once again with God to see only the perfect Christ whenever He beheld those who accepted his Son’s shed blood as an atonement for their sins. I have read Job and just thought that Satan met with the Lord but not in the highest heaven (and maybe not before God the Father, but solely before the Lord Jesus Christ, the Word, who spoke everything into existence, John 1:1-3, “He created everything there is–nothing exists that He didn’t make”) as Satan had already been cast out with his followers quite awhile prior to Job’s testing. I believe it was Christ who made Lucifer and all the heavenly hosts, as John says, “In the beginning was the Word, the Word was with God, and the Word was God,” and everything (except human kind) was spoken into existence. So I presume that the Creator-part of the Godhead primarily dealt with Satan after his initial casting out. The Lord (Christ) mentioned to Job about all that he had created asking if he was there when He laid the foundations of the earth and the boundaries of the seas, or if he realized where the light and darkness comes from, or had seen where hail is made and stored, for He has reserved it for the time when He will need it in war (and this would be Jesus at Gog-Magog and Armeggedon). There definitely was an intial antedeluvian fall of Satan and his followers, as the sons of God cohabited with the daughters of men (Cainite women) who were responsible for the Nephilum (the giants in the earth), and these fallen ones were bound in the bottomless pit long ago, as you mentioned in your answer above, to be released by Satan just prior to the Great Tribulation when he will be given power to perform miracles and tempt the nations through the Antichrist for 7 years, as well as after he is bound during the millenial reign of Christ to be released again to try to badger Israel again. I believe Satan has fallen from the highest heaven already, but that he will be permanently banned from ALL heaven shortly. I still believe that Almighty God cannot look upon SIN, and that includes Satan, which means I feel he has not been allowed near the throne of Almighty God for thousands of years, and that ultimately he will be cast into the Lake of Fire probably by his creator, the Lord Jesus Christ, for the havoc he has wreaked with the rest of creation. If this was from God, this man is about 57 years old today and given one can be a leader even in his 80’s, surely all may accomplished before the next 40 or 45 years are over. No anxiety God is in control. I agree with all you have written in this article. 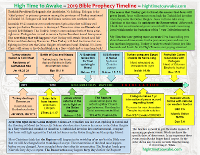 I think that one of the biggest arguments (for lack of a better word) is that which occurs between people that believe in pre-tribulation rapture and mid-tribulation rapture. Mid-trib believers (from what I understand), do not separate verse 3 and 4 of 2Th 3,4 and argue vehemently that the rapture cannot occur until the Antichrist has REVEALED himself BY sitting in the temple of God, showing himself as God as stated in verse 4. Not only that, they seem to be insulted that anyone might suggest that they don’t have to suffer through half of the 7 year tribulation as if you are denying them the honor of suffering for their salvation. I disagree with this interpretation. Verse 4 is describing WHO the Antichrist is by WHAT HE WILL DO (future) in the temple, but that is NOT when he will be revealed. For anyone who has ever read the book of Daniel, the identity of the Antichrist will be immediately REVEALED the minute he signs the 7 year covenant with Israel. Who else but the Antichrist could ever deceive Israel with such a treaty? Ask yourself this question: If you woke up tomorrow and the news was reporting that Israel had signed a 7 year treaty with someone, wouldn’t the first thought that went through your mind be that the Antichrist was here? It would be my first thought! And as for the concept of suffering for my salvation, I willing accept any suffering that I must go through even at the cost of my life; however, Romans 5:9 says: “Much more then, being now justified by his blood, we shall be saved from wrath through him.” There is a BIG difference between suffering for our faith and experiencing the wrath of God! I have often wondered how anyone could ever deceive Israel to the extent that they would enter a 7 year peace treaty, considering the situation in the Middle East. To do so would be to allow someone else to ensure their safety. But then it occurred to me or was reveled to me, that following the Battle of Gog and Magog of Ezk. 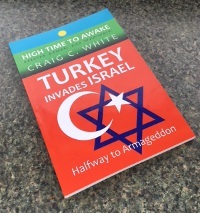 38, the vast majority of the enemies surrounding Israel will have been destroyed by God almost instantly, so what would they have to fear at that point in time? As such, I feel that this battle could very well be a precursor to the signing of the treaty and the Antichrist being REVEALED. And wouldn’t it accurately represent the role of the Antichrist if immediately following the battle which God uses “to magnify himself and be known in many nations”, that the Antichrist then steps in and ensures the safety of an “already safe” Israel with HIS peace treaty. Talk about deception and trying to elevate yourself above Almighty God!! What do you think? Hi Norm. That is a very good reply. Israel won’t need to be deceived. In Zechariah God says that he will raise an idol Shepherd in Israel which means that Israel will receive a rotten ruler. Right now world powers including the United States are working to remove Benjamin Netanyahu from office or from reelection. Netanyahu stands in the way of a Palestinian state in Israel. If world powers succeed then Israel will be filled to the brim with rulers who will give away their country and dismantle their military. Hi Craig. The Pope says having a relationship with Jesus is dangerous and harmfull. We are realy living in the Interesting times.